Until 1971 and Emile Bitar's ministerial term, North Lebanon and the Batroun Region in particular lacked medical facilities. Emile Bitar was determined to ensure that all northerners would have access to decent medical care they could afford. Over all odds, and despite a very tight budget, Emile Bitar as Health minister convinced the Maronite Monks to sell a piece of land at a reasonable price and he managed to establish a Hospital in the heart of Batroun. The Hospital is run by the National Social Security Fund and the Maronite Sisters of the Holy Family. The Batroun Governmental Hospital was named after Dr Emile Bitar in 1994. Dr Emile Bitar Hospital annually provides treatment and hospitalization for thousands of Lebanese of all religious denominations. 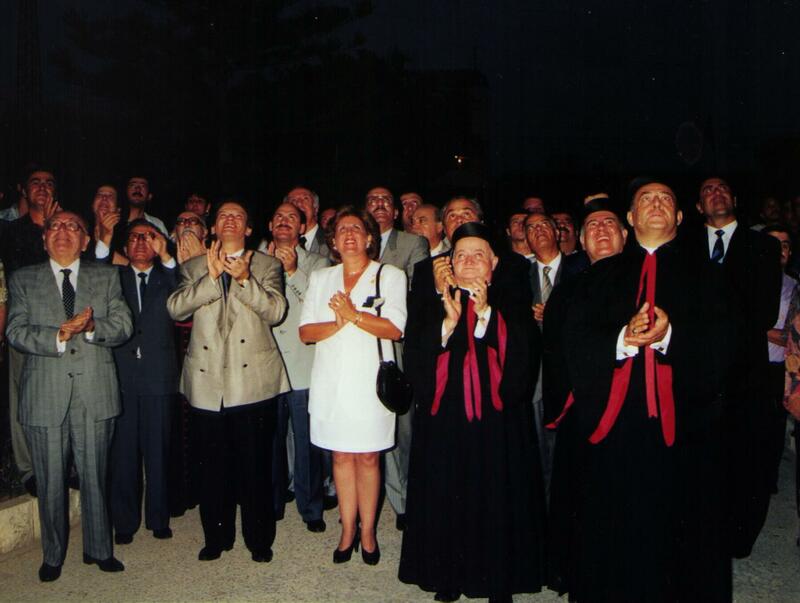 Among the people present, appear from left to right : President Rachid El Solh, Mrs Aimée Irani, Batroun Mayor Kesra Bassile, Bishop Khalil Abi Nader, Minister Marwan Hamadé, Mrs Andrée Emile Bitar, Colonel Georges Khoury, Member of Parliament Camille Ziadé, Minister Georges Frem, Member of Parliament Sayed Akl, Bishop Francis El Baissari, Bishop Boulos Matar, Bishop Boulos Emile Saadé.